You would think Tristan Thompson is allergic to third trimesters or something. The seemingly habitual cheater has been caught in MORE videos with multiple other women before this weekend's suspect behavior. And he's kissing, groping, and entering his hotel with one of the chicks. Tristan, bruh, what are you doing?! 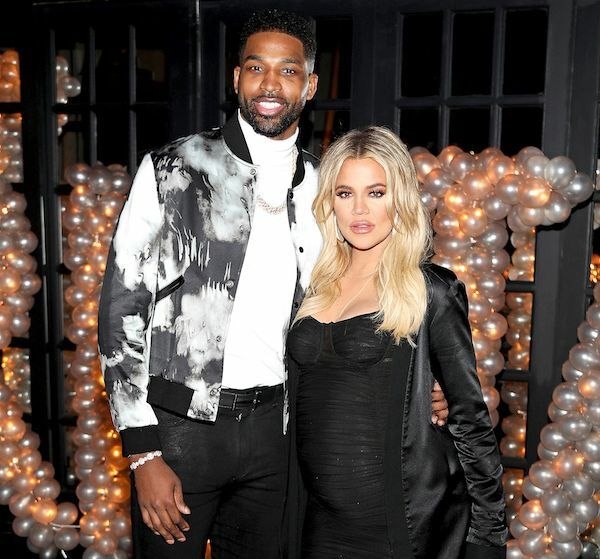 While girlfriend Khloe Kardashian - who's due any day now - sits home trying to get the baby to come down her birth canal, Tristan's been out in these streets ho'ing it up. On camera. Not only was he caught seemingly kissing a mystery chick at PhD lounge Saturday in NYC, he was also out here doing the most in the D.C. area back in October. Thanks to a certain hookah lounge's surveillance video, Tristan is seen with not one, but 3 women kissing, groping, and tonguing each other down. Dude looks like he may be a little gone off something, but the fact he's even in this position is an ABSOLUTE mess. One of the chicks is seen grabbing his package, he motorboats at least one, and plenty more goes down in this booth. Eww. By the way, these two instances of cheating aren't the only ones. This weekend, the Cavs baller brought what is seemingly a club thot - with a probable fake booty - back to his hotel at the Four Seasons in New York...the day before his big game against the Knicks. Check was even spotted leaving - not even trying to sneak either - with a whole overnight Louis Vuitton bag. The unmitigated GALL, chile. Check the video HERE. Safe to say the push present/apology gift is going to be LIT. Because you, sir, are trash.